Holiday time is here again, and with all those minutes to spare, many of us are tempted to play with or use our phones abroad. This can be very expensive, so here are some tips to reduce the cost. The post holiday mobile phone bill can often be worse than the post holiday blues. Many of us tend to pass the time texting, tweeting or browsing and this habit can be hard to break when abroad. USwitch.com has found in surveys that 49 per cent of Britons have found a bill of more than £150 in the post to greet them the month after their holiday in the sun. So, how can we be aware of these charges and how can we prevent an after holiday shock like a huge phone bill? Checking what you pay for using your phone abroad before you go will mean you can make an informed decision to use your phone when abroad. Studies show that a large percentage of Brits don’t know what it costs to text, phone or browse abroad before they go and this leads to a huge bill upon their return. Check your phone company’s website or ask in your local shop for the phone company’s price plan for roaming to ensure you don’t suffer many surprises. Also remember you are charged for receiving calls abroad, so try and avoid them also. Social media in the sun is a costly activity. 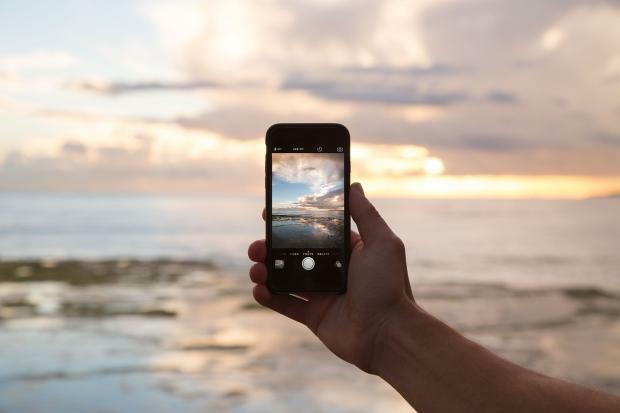 It is not uncommon for all of us to check our posts or post our holiday snaps online when abroad but be aware it can cost you a large amount to do. Using applications such as maps and translators is also an attractive option, however these apps cost you money. Try and avoid both of these as they cost you a lot. If you do think you will need to use them one of the best things to do is consult with your provider and see can you get a tariff for abroad. Another wise thing to do is to purchase a pay as you go sim card when you get to the country. This will mean you can pay local rates and aren’t lambasted when you get your bill. Be Wi-Fi wise when abroad. Many accommodations and cafes will offer wireless networks for free or for a small charge. These will be far less expensive than using your network abroad and linking to them is advised. Many mobile phone operators cap data usage when abroad. You can call them up before you go and set a limit for yourself – a form of damage limitation and one that means you know what awaits you when you arrive home. We’ve discussed the cost of taking calls abroad, but did you know you will also pay an extortionate rate for checking your voicemail when in a different country. Avoid this by turning your voicemail off before you go. You may need your Pin to do this but it may save you plenty of cash. Just so you know that it will be even more expensive to engage in any of the above in America. European rates for mobile usage are capped by the EU, however US rates care even larger and may leave you with a very memorable phone bill – so be aware! Cheyenne d’Angelo the author of the best tips on using your mobile abroad is a freelance writer who loves writing money saving tips. She has written on behalf for such brands as Ulster Bank.